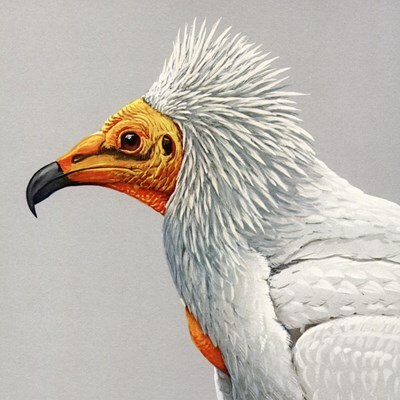 This beautiful illustration of an Egyptian Vulture was painted by American ornithologist Louis Agassiz Fuertes. This lovely bird art gift idea is perfect for birdwatchers and anyone that loves birds. To order by phone, call toll-free at 1-877-809-1659 from Monday - Saturday 9:00am - 9:00pm EST. You'll need to note the Product Number 030-344300203 to make your order.